Two DP70 (2345+2370). Opened with "My Fair Lady" 09.03.1966. Closed and demolished 1989. 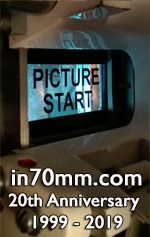 DP70 to Cameo Cinema, Murray Bridge. 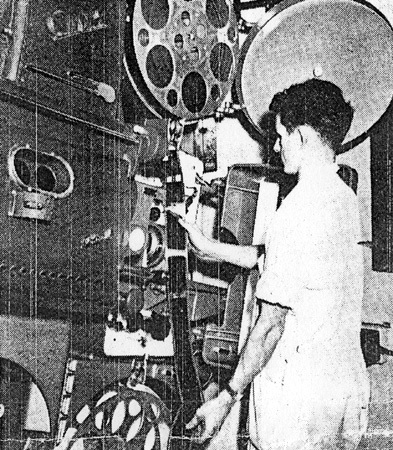 DP70 installed for "South Pacific" 12.11.1959. DP70 moved to Paris, Melbourne. Now a twin cinema. Two DP70 (1466+1469) installed 2016. From Plaza, Perth. Clive Woodward posing with DP70 1466 & 1469 and ask the question: Do you know of the 'official' original colour for DP70 projectors? What is the correct colour of a DP70? Two DP70 (1788+2333) in private Esquire Theatre. 1788 from Esquire Theatre, Melbourne. 2333 from Redcliffe Drive-In. 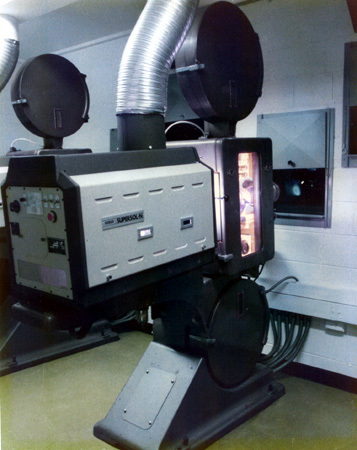 Projectors moved late 1999 to Brisbane. Two DP70 (2306+2309) installed 1965 for "My Fair Lady" 01.12.1965. Theatre closed 1983. Demolished. Also used for live theatre. DP70s to two private in Brisbane. 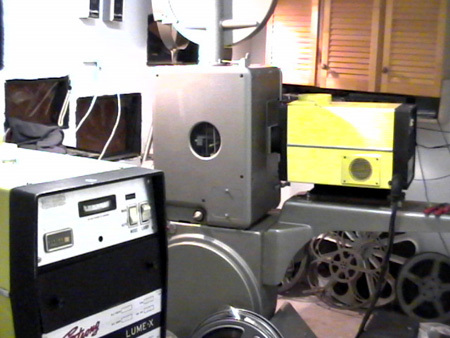 DP70 installed for "South Pacific" 09.06.1960. Renamed "Paris" 28.07.1965 for the release of "The Sound Of Music" which played exclusively at this cinema for it's Todd-AO season. Closed 1980. DP70 to Hoyts, New Zeeland. 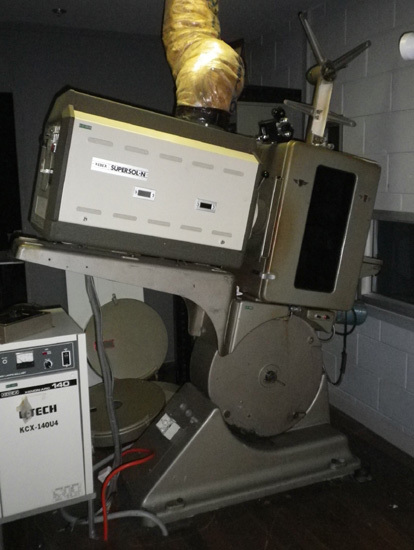 Two DP70 (2202+2349) installed 1989 came from a cinema in Canberra. Two DP70 (1779 r+2306 l) 1779 from Regent Theatre, Perth. 2306 from her Majestys Theatre Brisbane. Three DP70 (1788+2309+2333) in private Esquire Theatre. 2309 from Mr. Damien Farrell. I was sorry to see them go, but have to be practical of what we can fit into a smaller house. Two DP70 (2401+2408). Opened 10.11.1966 and closed 1988. DP70 to Southport Drive In, Gold Coast 1988. 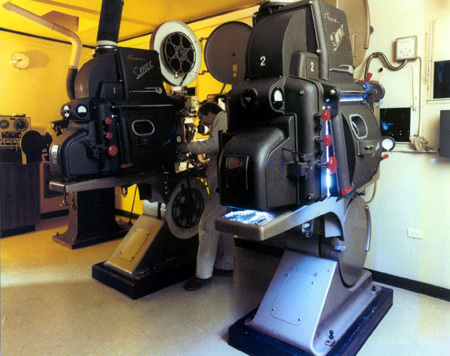 Twin Cinema. 4 DP70 (2202+2348+2349+2381) installed 24.06.1965. DP70 2202+2349 to Schonell Theatre, Brisbane. DP70 2348+2381 to Gold Coast Arts Centre. Four DP70 (2343+2359+2370+2408) from David Kilderry 2001. 2408 from private in Brisbane August 2004. 887+888 from Royce Goldsmith, Brisbane early 2013. 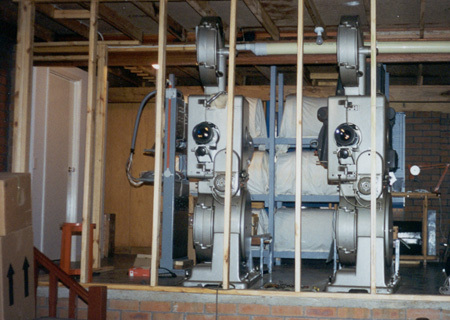 Two machines were the first to be installed in Australia at the ''Mayfair'' in Sydney. 2329 & 2401....2309 was first in Redcliffe Di & then Toombul Cinema. 2401 was first in Oxley Di & then Southport Drive-In. Two DP70 (2401+2408). Closed 06.11.1995. DP70 of to private in Brisbane. 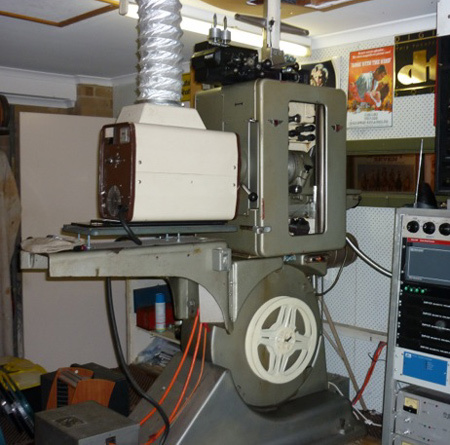 Two DP70 (2348+2381) from Civic Twin Cinema, Canberra. Two DP70 from Cleopatra, Melbourne. Closed and DP70 installed at Maribyrnong Drive in. 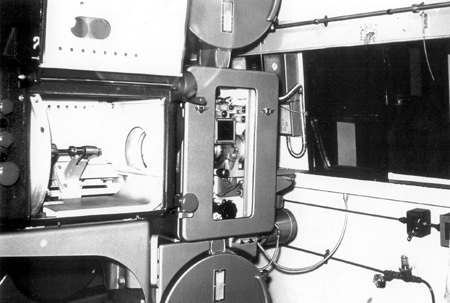 Two DP70 installed 31.08.1966. Screen 21" 3´ x 9" 3`. Two DP70. Machines from Plaza, Adelaide. Named Cleopatra for the release of the film in Todd-AO 27.02.1964. Later renamed Paris. Closed 1968. DP70 moved to "Altona" Drive in. Two DP70 (1779+1788) installed 05.02.1959. 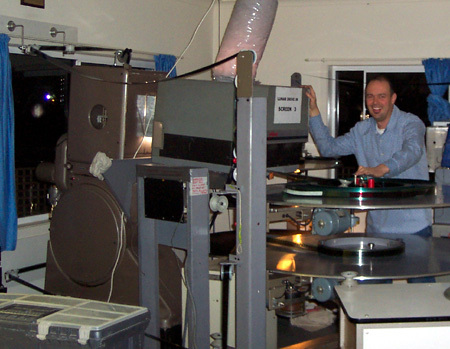 1st film: "South Pacific" and "The Miracle of Todd-AO". 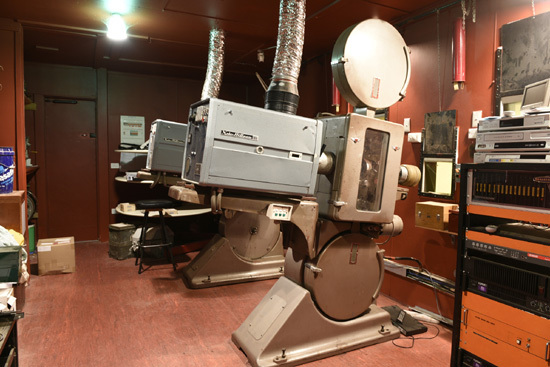 2nd Australian Todd-AO cinema. 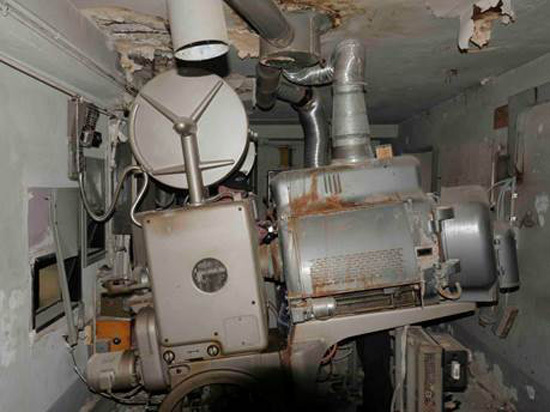 Closed 1974 projectors to Regent Theatre, Perth. No longer in existence. Two DP70 (2343+2359). 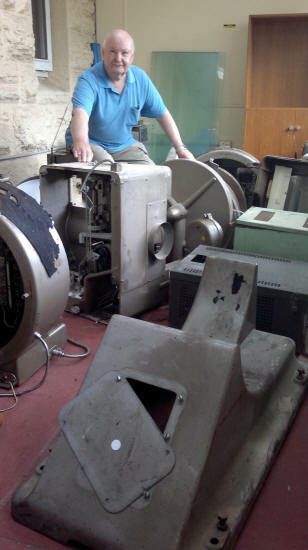 Machines came from the Shepperton Capri cinema in June 1999. 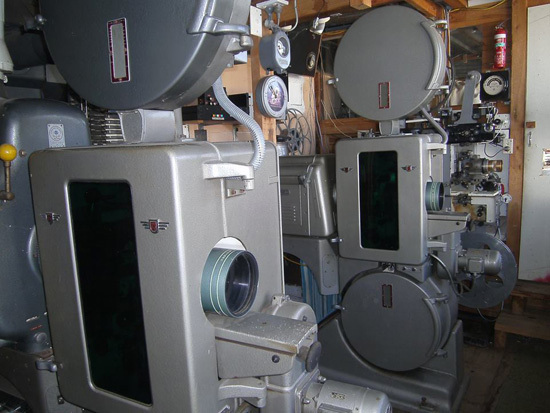 Machines sold to Lunar Drive-In theatre at Dandenong, Victoria, Australia 2001. Two DP70 from Altona Drive In, Melbourne. DP70 moved to Charlton, Melbourne. Two DP70 (2346+2360) from anonymous Drive In, Portland. 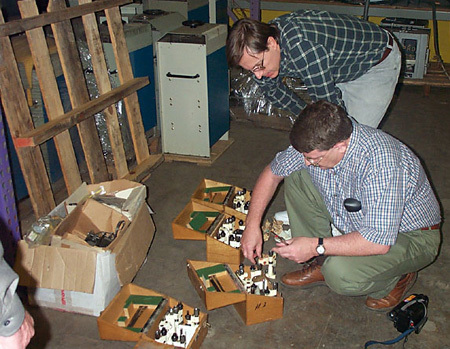 Machines moved 1998 to Fred Sandall, Traralgon. Two DP70 (1779+1788) from Esquire, Melburne. Removed 1988. 1779 to Geoff Bielefeld in Brisbane. 1788 to Brian Walters, Brisbane. Two DP70 (2346+2360) 1980 until closure in 1984. Machines to Melbourne Arts Centre. Two DP70 (2329+2333) installed 23.12.1965 for "Can Can". 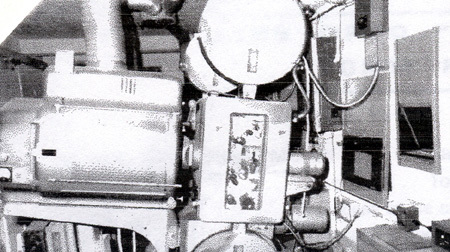 Screen was 104 x 66 ft. 2329 removed 1974 and reinstalled in Toombol Cinema same year. 2333 went into storage until 1984 then sold to Brian Walters, Banora Point. Closed 1989. One DP70 (2329) from Redcliffe Drive In, Redcliffe 1974. Closed 1989. DP70 to private in Brisbane. Two DP70 (2343+2359). Installed for "The Fall of the Roman Empire" 1965. 600 seats. DP70 moved June 1999 to Private David Kildarre, Melbourne. Fred Sandall claims this: Two DP70 (2346+2360) from 1966 - 1980. 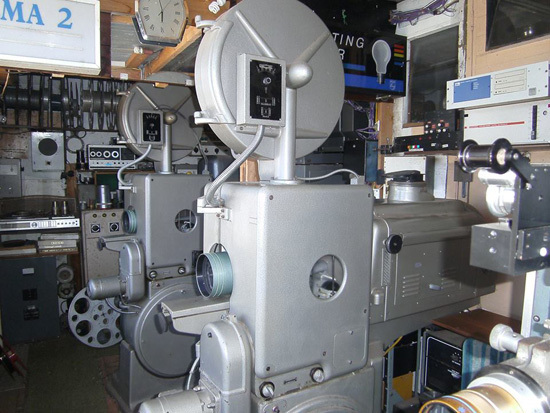 DP70 from Capri Cinema, Shepperton. DP70 moved to Melbourne Arts Centre, Melbourne. Two DP70. Installed for "Solomon and Sheba" 10.12.1959. Closed 1976. Two DP70 (2346+2360). Installed 1998. Two DP70 from Esquire, Melbourne.